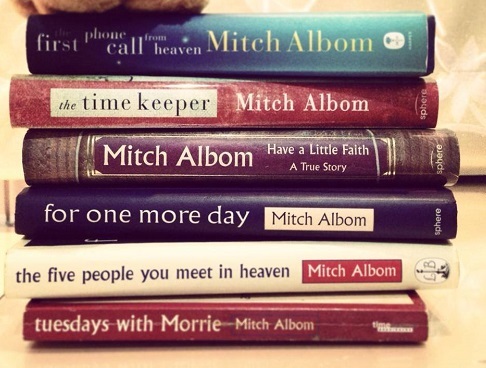 As Promised ,we are listing the Best Books of Mitch Albom Books with Free Download Option and Buy Options.Get inspired with his writing. 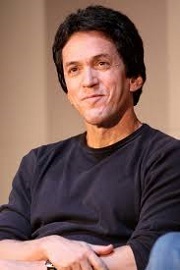 Mitchell David Albom was born on May 23,1958 in Passic,New Jersey.He was 2nd child to Rhoda and Ira Albom.Mitch grew up wanting to become a cartoonist before switching to music.He taught himself to play piano and played on bands,including "The Lucky Tiger Grease Stick Band",throughout his adolescence.He earned his bachelor's degree in 1979 at Brandeis University in Waltham,majoring in Sociology. Later,in his early 20's he took interest in journalism and earned his master's degree from Columbia University's Graduate School of Journalism along with an MBA degree form Columbia University's Graduate School of Business. In 1985 he moved to Detroit,where became a where he became a nationally-acclaimed sports journalist at the Detroit Free Press and one of the best-known media figures in that city’s history, working in newspapers, radio and television. He currently hosts a daily talk show on WJR radio (airs Monday through Friday, 5-7 p.m. EST) and appears regularly on ESPN Sports Reporters and Sports Center. He also raises money for literacy projects through a variety of means including his performances with The Rock Bottom Remainders, a band made up of writers which includes Stephen King, Dave Barry, Scott Turow, Amy Tan and Ridley Pearson. Albom serves on the boards of various charities and, in 1999, was named National Hospice Organization’s Man of the Year. Tuesdays with Morrie is the chronicle of Mitch’s time spent with his beloved professor. As a labor of love, Mitch wrote the book to help pay Morrie’s medical bills. It spent four years on the New York Times Bestseller list and is now the most successful memoir ever published. His first novel, The Five People You Meet in Heaven, is the most successful US hardcover first adult novel ever. For One More Day debuted at No.1 on the New York Times Bestseller List and spent nine months on the list. In October 2006, For One More Day was the first book chosen by Starbucks in the newly launched Book Break Program, which also helped fight illiteracy by donating one dollar from every book sold to Jumpstart. Have a Little Faith, was released in September 2009 and selected by Oprah.com as the best nonfiction book of 2009. His most recent titles, The Time Keeper and The First Phone Call from Heaven, both debuted at #1 on the New York Times Bestseller List.And his Upcoming Release "The Next Person You meet in Heaven :The Sequel of The five people you meet in heaven " is to released on October 9th 2018. Also Check out : Top 15 Sites to Download Pdf Books for FREE!! CONCLUSION: Thus we have completely listed down all Mitch Albom's Books along with "Free Pdf Download" options for you.If you want the Hardcover/Paperback/Kindle copy of the respective books you can hover to the links and place your orders.Hope You found this Post very useful. Join our Official Facebook Page for more information and PDF Books. Share Your Feedback with Us in the Comment Section Guys!!! !